Metallica opened their May 17 show at Nassau Veterans Memorial Coliseum in Uniondale, NY with the “Hardwired…To Self-Destruct” lead single, “Hardwired”, and the band are sharing professional video of the performance. Issued last August, the tune was the first preview of the group’s tenth album ahead of its fall release and saw its live debut at U.S. Bank Stadium in Minneapolis on August 20, 2016. 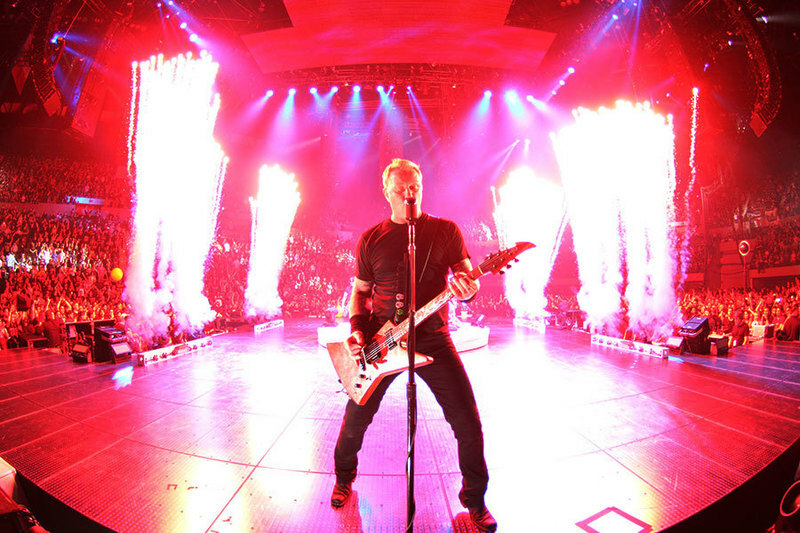 The Uniondale show marked the fourth date of the North American leg of Metallica’s WorldWired tour, which was launched in Baltimore, MD on May 10. The group are joined by Avenged Sevenfold and Volbeat on the trek, with Gojira on board for select dates ahead of the August 16 finale in Edmonton, AB. Following a May 21 appearance at the Rock On The Range festival in Columbus, OH, Metallica will enjoy a two-week break before resuming the run at Busch Stadium in St. Louis, MO on June 4.